Home > Show Report > 【NEPCON JAPAN】ITRI and eLux Expect PIDs and Wearables to be the First Commercialized Micro LE.. The next-generation display technology – Micro LED, has remained a spotlight of the industry. 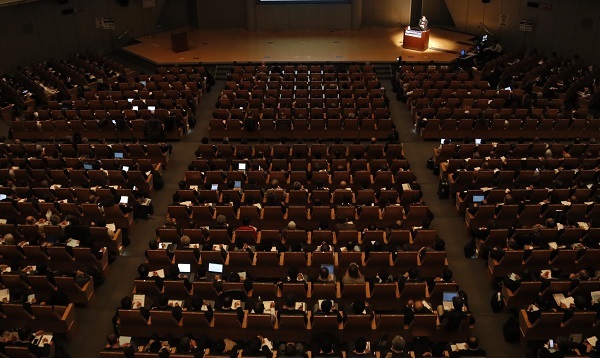 NEPCON Japan 2019 has invited Chih-I Wu from ITRI and Paul Schuele of eLux to share their insights of the technology at the key note conference focusing on Micro LED. Wu and Schuele both began their lecture by comparing Micro LED with LCD and OLED and addressed the advantage of Micro LED. Micro LED, as considered to be the next generation display technology, is featured with high brightness, long lifetime, and low power consumption. Wu highlighted that, as Micro LEDs are self-emitting and can be transferred directly on the substrate, they can be integrated with sensing components and others, opening to a wider range of applications. However, there are still plenty of challenges to solve for Micro LED manufacture as Micro LED are extremely small and the handling amount is massive. The major bottlenecks include epitaxy wafer production, mass transferring, inspection, driver IC and others. Regarding epitaxy wafer production, Wu and Schuele pointed out that for becoming a pixel on displays, the Micro LED chip need to be very smooth. As a result, the requirement of uniformity of Micro LED epitaxy wafer will increase, making it one of the greatest challenges of Micro LED production. Furthermore, since high speed transferring and assembly technologies for great amount of Micro LED chips are still under development, Micro LED commercialization in consumer products such as smart phones and TVs is still a distance away, said the two lecturers. Wu and Schuele indicated that public information display (PID) and wearable devices are the two sectors where Micro LED can enter the market. The advantages of Micro LED, such as high brightness and low power consumption, could be fully exploited in these applications while the chip number required by these applications is fewer. The lecturers also mentioned their development progress. 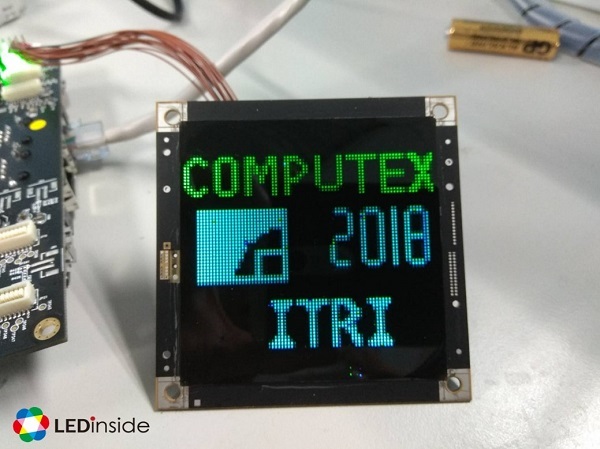 Wu noted that ITRI has showcased Micro LED display module at Taiwan’s COMPUTEX 2018 and started a new team focusing on the development of gaming products and AR applications. On the other hand, eLux has been integrated with the Foxconn group including Innolux, AOT and epileds, aiming to fully utilize its Fluid Assembly technology for slipping the manufacture cost of Micro LED displays. Schuele said, PID and automotive display are targets of the company but it will focus first on PID as it usually takes longer time for automotive applications to be in the market.